In 1977 Michael Clark (born 1954) became a habitue of the Colony Room Club, where he became acquainted with the artist Francis Bacon (1909-1992) and the arts patron Valerie Beston (1922-2005). In the early 1980s Beston suggested that Clark make the first of what became a series of portraits of Bacon. This sparked a friendship between the two. 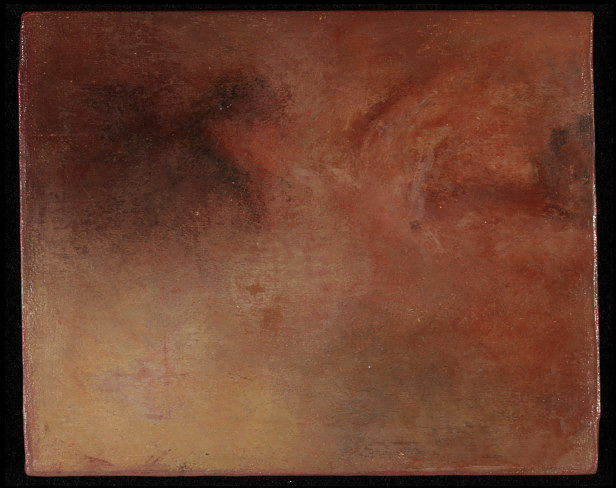 Bacon's work has always been highly influential on that of Clark, whose style has dark overtones that often echoes that of the older artist. 'Untitled Wound' is a miniature oil painting on calico. The style of the painting recalls the fleshy materiality of Francis Bacon. The iconic subject is related to Clark's 'Wounds of Christ' project at Chichester Cathedral (1994). This installation brought together themes that have occupied the artist's work for some time. Questioning our sense of self and the body in an age of AIDS, cloning and DNA fingerprinting, the artist seeks to frame these concerns in the context of the traditional religious iconography of the Stigmata and the Wounds of Christ, while relating to the Catholic concept of Transubstantiation. 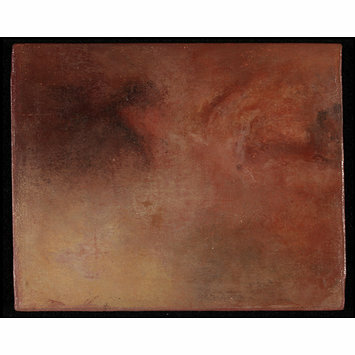 Semi-abstract indistinct representation of a wound, in flesh-toned colours, painted in oil paint on calico, unframed. 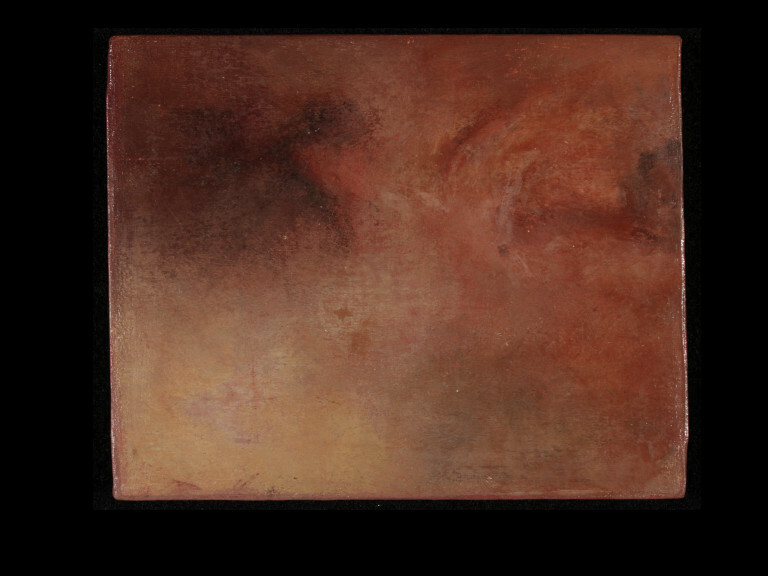 This small oil is a sketch relating to a series of five small wound paintings, entitled `Wounds of Christ' installed in Chichester Cathedral in 1994. This installation was said to bring together themes that have occupied the artist's work for some time. Questioning what becomes of our sense of self and the body in an age of AIDS, cloning and DNA fingerprinting, the artist seeks to frame these concerns in the light of the artist's wide ranging research into religious iconography, stigmata and the wounds of Christ, and piercing culture and notions of transgressive desire.